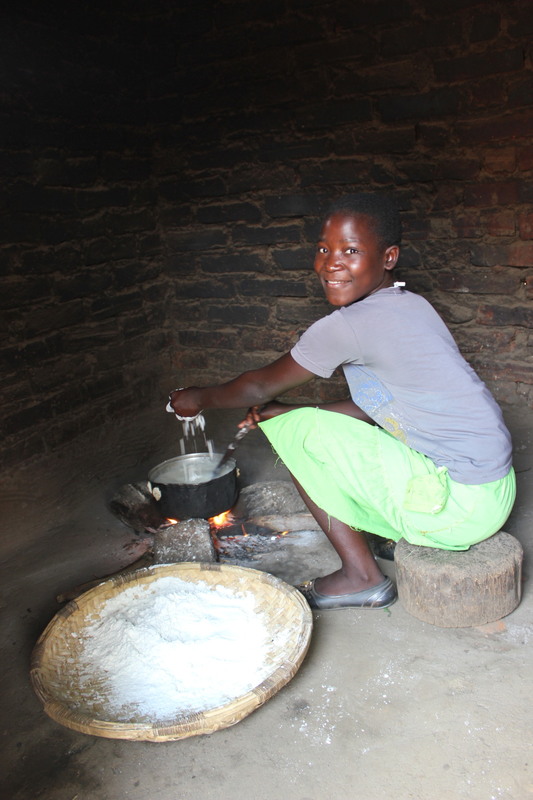 Primary education is free in Malawi, but only about half of the children actually complete primary school. Secondary school is not free, and there attendance rates are even worse, with only 1 in 10 secondary-age youth attending classes. We work with the community and the local government to increase the number of children attending school, especially the orphaned and vulnerable, and to improve the quality of the education they receive while there. 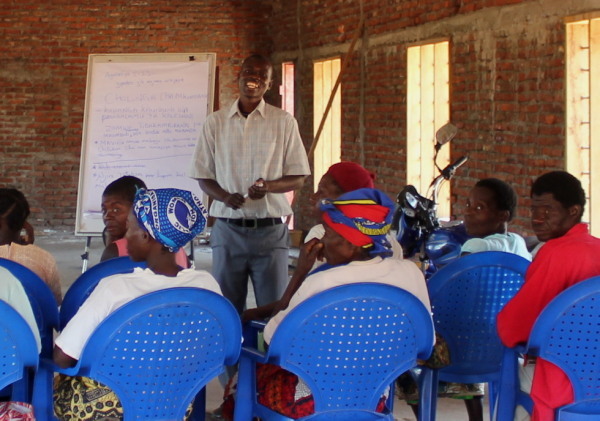 In 2012, the women in our Family Life Group in Mkaka village came up with a plan. So many children in their village were idle every day, and they decided to start getting them ready for school by starting their own childcare centre. They built a simple grass shelter and began to meet there to sing songs with the children, teaching them numbers and the alphabet. The chief was excited about this development and offered food for the workers and children. When the rainy season came, they realized that they would need a more permanent structure so they began molding and baking bricks and they hired local masons to put up a building. At this point Kindle also stepped in, providing a door and roofing materials. Now up to 50 children meet there to learn and play together, building skills that will help them in school. We continue to provide assistance through training sessions with the teachers, and one of our partners provides daily meals for the children. This childcare centre is now a model for other villages who want to help get their children off to a good start. There are three primary schools in the area where we work, and we partner with them in various ways. We have assisted in renovating and upgrading buildings; sent visiting teachers to interact with the students; provided sports equipment and books; helped the children with uniforms and shoes; and given general encouragement to the staff as they work with the children. We are also working with the schools, the community, and the local government to assess the reasons why girls in our area are doing worse than boys, and to help improve the situation for girls in primary school so more girls will be accepted into secondary school. Molding bricks for the junior primary school, two at a time. More than a million are needed. We are also starting an ambitious project in constructing a junior primary school at Gadi village. Gadi is far from the nearest primary school, so most children who reach school age are not strong enough to make the journey to school. 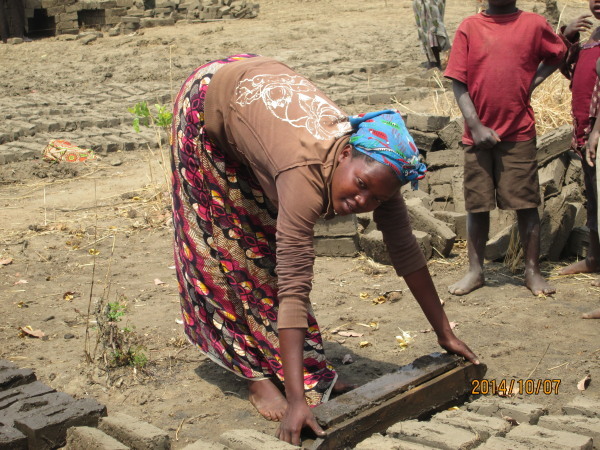 During the rainy season it is especially difficult because a river separates the village from the school. 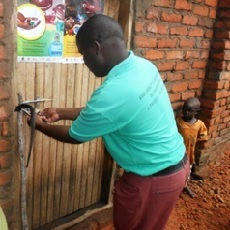 This project is being done in conjunction with the community, the local government, and one of our donor partners. Once they finish primary school, free education has come to an end and students who have done well are either selected to attend a government Secondary School or they must find a place in a private Secondary School. With either option the fees can be very expensive. Many orphans and vulnerable children have no hope of furthering their education because guardians are not able to pay the fees for these schools. To help with this situation, Kindle is currently paying secondary school fees for approximately 70 orphaned and vulnerable children. You can see interviews with two of our students on our videos page. We trust these young people will make a difference not only in this community, but in the nation of Malawi! There are many orphans and vulnerable children who do not even finish Primary School, yet the time comes when they need to support themselves, and many times also their younger siblings. We now have the materials needed to teach carpentry, and some materials for teaching tailoring as well. We have also begun construction on Tiwale (“Let’s shine!”) Centre, which has rooms dedicated to vocational training. 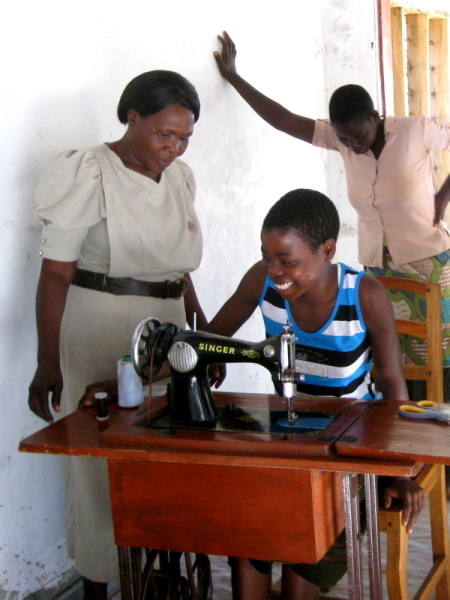 There were many youth who were excited to attend two-day orientations in carpentry and tailoring in 2014, and we hope to get funding to complete the building and begin full courses in the near future. Kindle has helped two orphans from our area, Yohane Malenga and Spartan Makanya, to complete tertiary education, and subsequently hired them as staff members. It is a joy to see them changed from recipients of support to people who provide support to the orphaned and vulnerable in their home area. We are now supporting two more students. Laston Lusta is a blind man from our area who should be completing teacher training by the end of 2015, and Cephas Chiwowa recently completed secondary school at one of our local community day secondary schools and did well enough to be accepted to the Catholic University of Malawi. He began his studies there in January 2015.